What is the $15 USAT Fee? 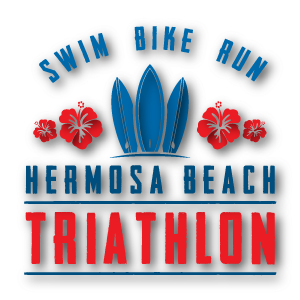 The Hermosa Beach Triathlon is a USA Triathlon Sanctioned event. The fee will be waived for all USAT members. If you are not a USAT member you will be required to purchase a 1-day USAT pass. For more information on USAT sanctioned events please visit the USA Triathlon site HERE. We give out awards to the top five participants in each age group! The mountain bike division is for those people who are racing using a mountain bike instead of a road bike. The width of your tires must be 1.75 inches or larger. These tires can be smooth, knobby, or with tred. Wetsuits are not required, but most people choose to race in them. The water temperature is usually 67-70 degrees. No, individual registrations MAY NOT be transferred from one person to another. Relay teams may switch members and should contact hermosabeachtri@mesp.com to receive a link to make the change. Please note, each change or addition to a relay team will result in a $25 fee. Can I have my teammate pick up my race packet? No one can pick up your packet except you! This includes teams as well. We encourage you to register early as the Hermosa Beach Triathlon will likely sell out before race weekend. Is there a relay team category? Racers can form teams of two or three to compete in the triathlon, with each athlete racing one event. When registering, choose the relay team option and complete the form with all information from all members of the relay team. What is the wave start schedule? Yes. 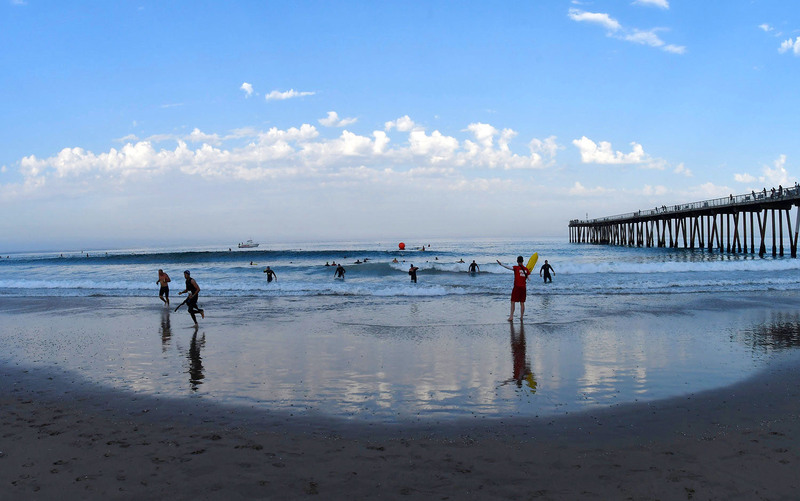 Most parking down at Hermosa Beach Pier is garage parking or meter parking which will charge. You may be able to find non-permit street parking but for easier access garage parking or meter parking is your best bet! What should I bring with me on the day of the Tri?